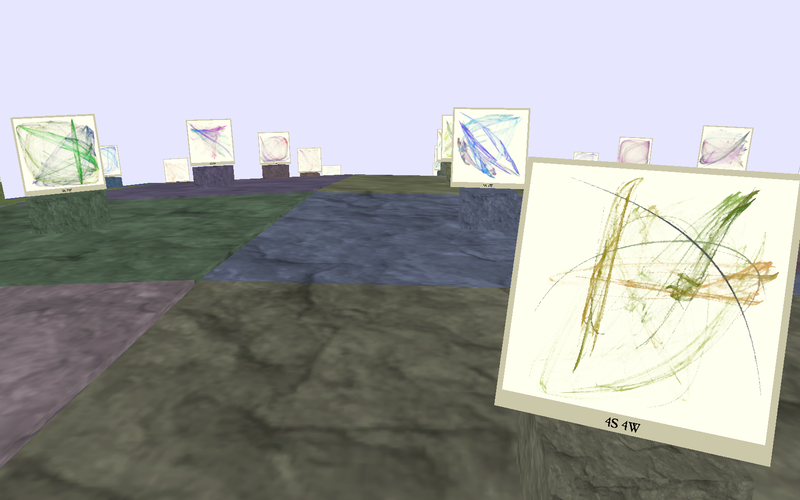 This project is inspired in Jorge Luis Borges' The library of Babel, and Ivan Notaros' Library of Blabber. 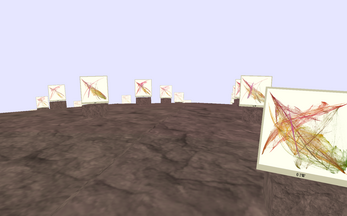 It consists of a generator of pseudo-fractal images, and a simple oil-painting shader for a nice «artistic» look. 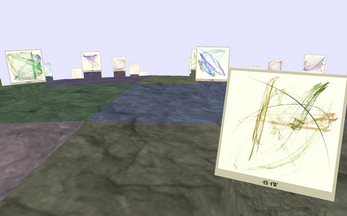 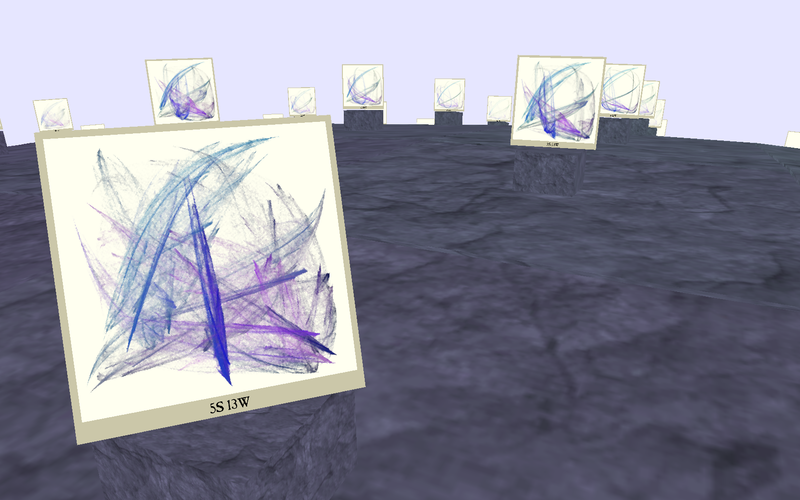 As the user walks among the paintings, the system creates new paintings at the virtual horizon. There are two modes of exploration: human order and divine disorder, in reference to Borges' original story.